'This novel owes as much to poetry as it does to prose. Its opening, an invocation of the life of the city, is strongly reminiscent of Auden's Night Mail in its hypnotic portrait of industrialised society... An assured debut' Erica Wagner, The Times. On a street in a town in the North of England, ordinary people are going through the motions of their everyday existence - street cricket, barbecues, painting windows... A young man is in love with a neighbour who does not even know his name. An old couple make their way up to the nearby bus stop. But then a terrible event shatters the quiet of the early summer evening. That this remarkable and horrific event is only poignant to those who saw it, not even meriting a mention on the local news, means that those who witness it will be altered for ever. 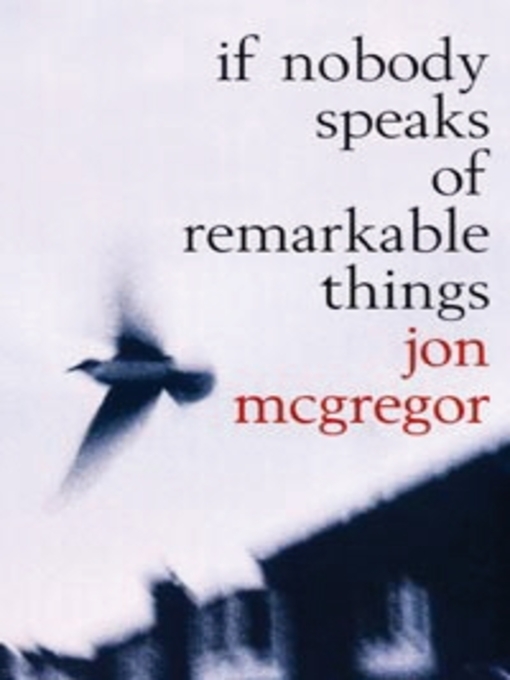 Jon McGregor's first novel brilliantly evokes the histories and lives of the people in the street to build up an unforgettable human panorama. Breathtakingly original, humane and moving, IF NOBODY SPEAKS OF REMARKABLE THINGS is an astonishing debut.